Color is a huge part of my wardrobe! You know I love color and wear it often. I’m not even sure what a life without color would be like!? Probably boring and bland! 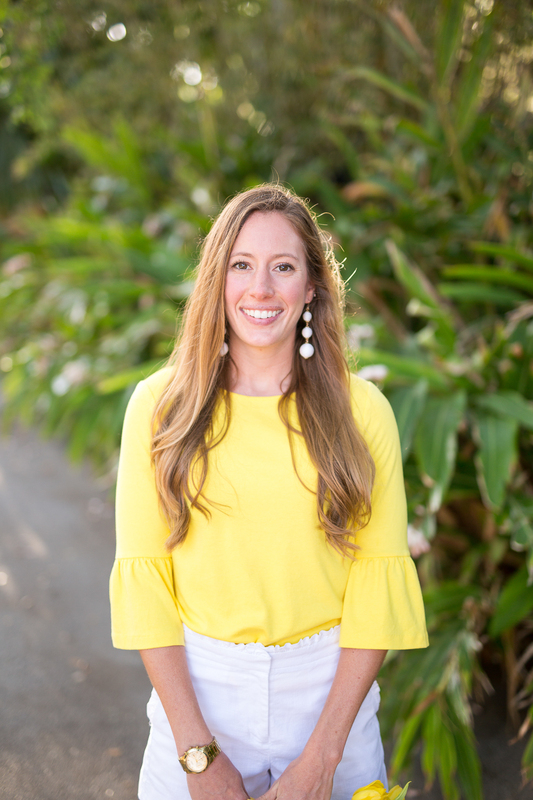 Lots of the items in my wardrobe are colorful and bold but I do wear tons of white, blue and denim (which are neturals to me). To dress up my outfits, especially in the Spring and Summer, I use accessories to really make them pop! Adding a colorful accessory to any look will instandly transform it from drab to fab in 2 seconds! 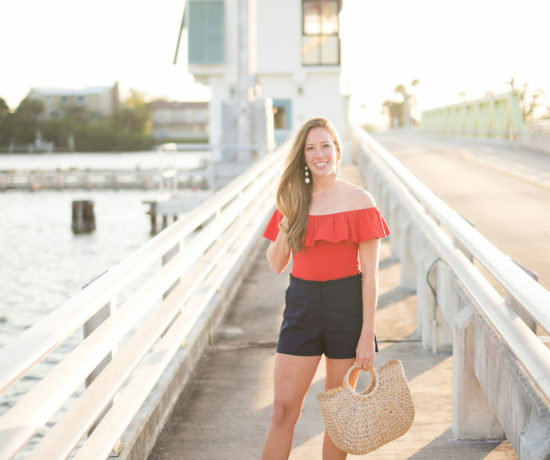 My absolute favorite bags to wear besides straw bags are fun ones with pops of color! They transform your entire outfit! When I was in Hawaii last summer, I made sure to visit the infamous Dole Plantation and while I was there I bought my beloved pineapple bag. Anytime I post this bag, it’s always a hit with you all! Who doesn’t love a giant pineapple purse?! The more I searched, I realized I just love citrus bags in general. Maybe it’s the Florida girl in me but how can you not adore this kiwi bag and this grapefruit bag!? Probably my most worn accessory besides neck scarves! I am a girl who has super sensitive ears. I’ve sadly never been able to wear fake earrings. What I have found though is that if I buy quality statement earrings, I can get away with wearing them for a few hours without my ears falling off from pain. Whatever metal Target uses in their Sugarfix X Baublebar earrings is tolerable for my ears. This adorable palm leaf set caught my eye when I was browsing the jewelry section on a Target run a few weeks back. They’d be so cute to dress up a sundress and sandals outfit! When it comes to investing in a cute dress or top, I am all in. Sunglasses on the other hand, I love super affordable pairs. Wearing them at the beach with the salty air, driving in the car and constantly throwing them in my purses, I don’t care too much about keeping them in tip top shape. Once their scratched up, I don’t feel bad about buying a new cheap pair. Maybe one day when I can afford it, I’ll splurge on a pair of Ray Bans but until then it’s cute and colorful pairs that fit my budget. 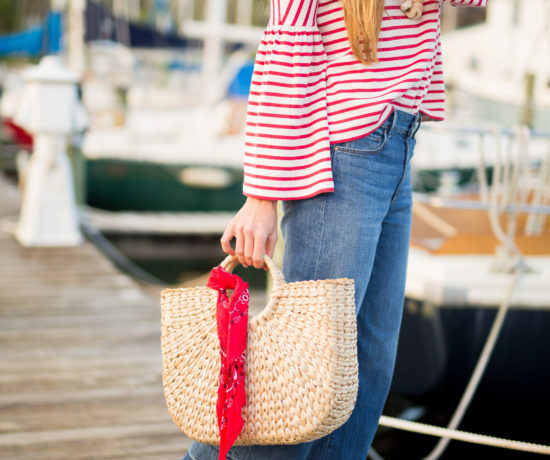 My absolute favorite shoes for Spring and Summer are espadrilles! They have a rope like bottom and I find them extremely comfortable to wear all day long. Today I ran to Old Navy super quick to try and find a fun dress for my Birthday next week and I saw these adorable chambray espadrille wedges that were under $40! They literally match with everything, especially dresses and skirts! Ahh, I am so so glad that block heels are in and super high heels are out. When I first started fashion blogging, I thought I had to wear heels like all the other popular fashion bloggers. Except there was a big problem. 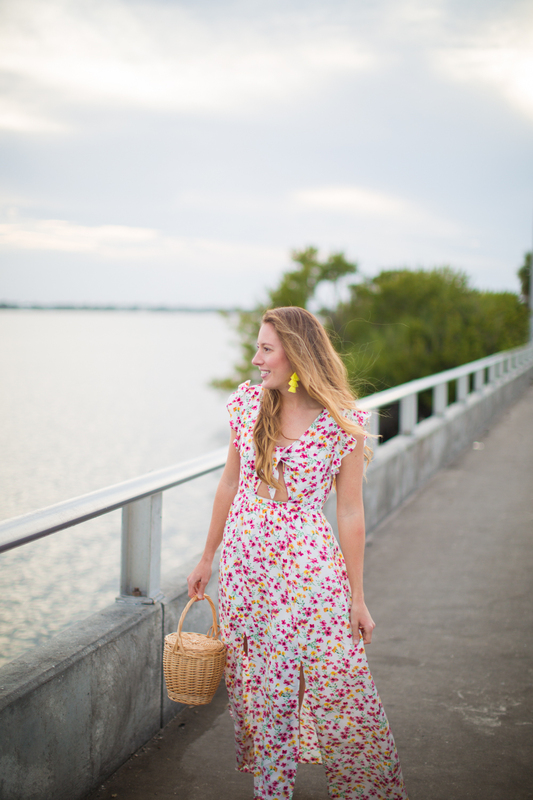 I lived in Florida and had super casual style. Heels were just not something I loved wearing besides dressing up for church on Sunday mornings or special occasions. I was trying to be someone I was not. Thank goodness I didn’t fall into that trap. Now I can get behind a smaller block heel. Not only do I not feel like I tower over anyone, their super comfy and cute. I love these slingback yellow block heels (comes in red too!) that are only $35. Out of all the accessories for Spring I mentioned, neck scarves will be the cheapest option. I have never bought a neck scarf for more than $10. 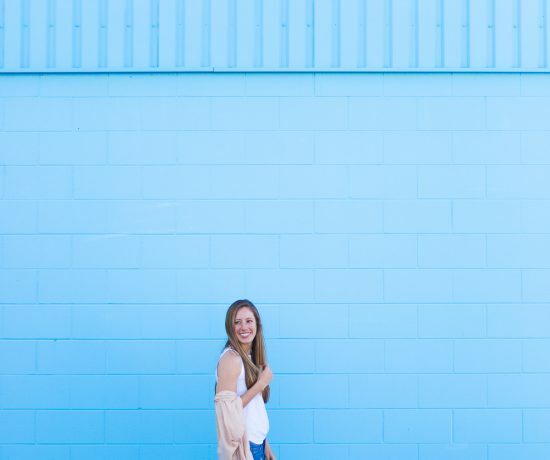 It’s super easy to pick one to two colors you love, like yellow and blue to style with multiple outfits. I am a hugeeee fan of no-crease hair ties. They are the only hair accessory I wear daily. Sometimes I accidentally wear them in my outfit photos because it’s a permanent fixture on my wrist. My second favorite accessory that’s a bit on a cuter side are the hairties with attached scarves or cute bows! 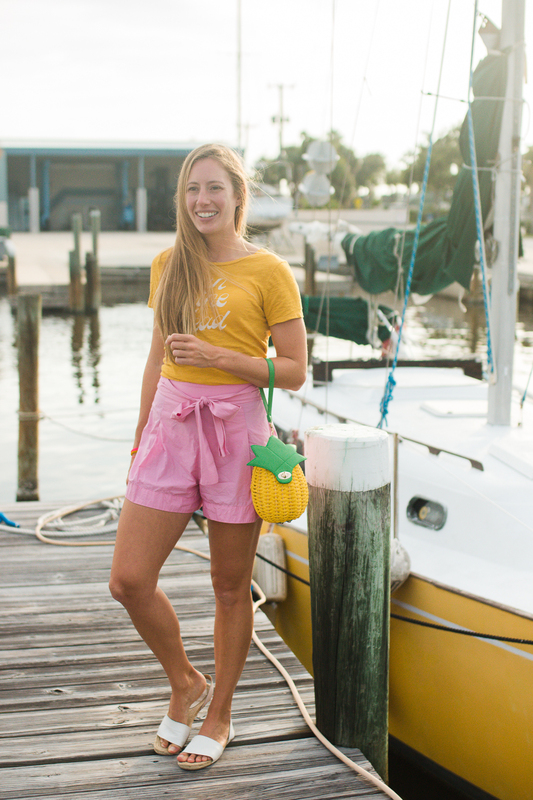 See the original post with the fun pineapple bag here! 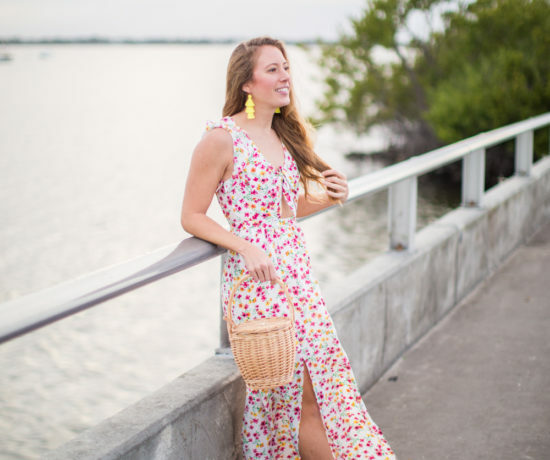 Tell me, what’s your favorite Spring accessory from the list above? I’d have to say mine’s the pineapple bag I bough in Hawaii as a memento! 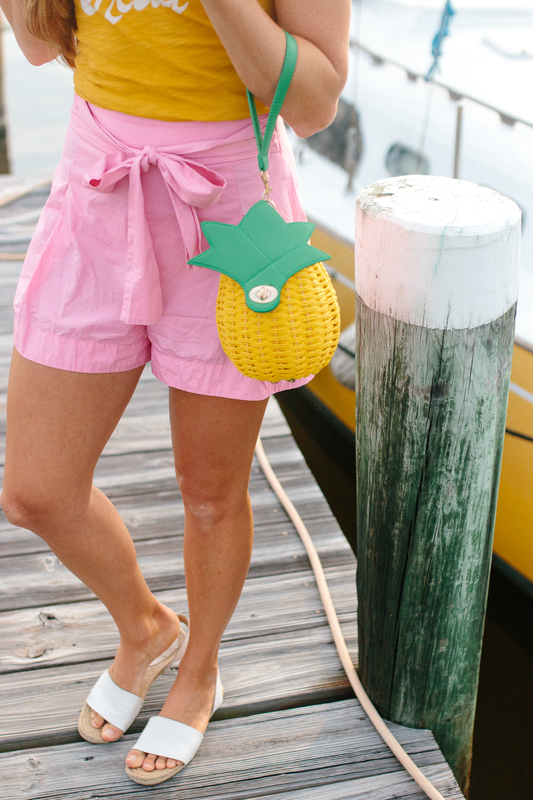 Love the pineapple bag and the yellow tassel earrings! Thanks so much Pam!!!! =) ME TO! Thanks Libby!!! 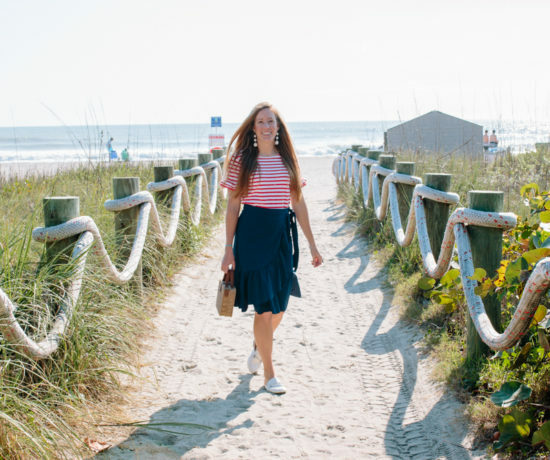 Oh yeah, espadrilles are everywhere in the blogging world! But their SO cute! That bag is just too great. I feel like the older I’ve gotten, the more I appreciate a good accessory that lasts through the seasons and is an expression of me! Love the bright color of your outfits, too! Everyone loves the pineapple bag!!!! Yes, sooo true! I only buy accessories that I know will last me more than a season! I love the accessories you shared! They are such a great way to brighten up any outfit. 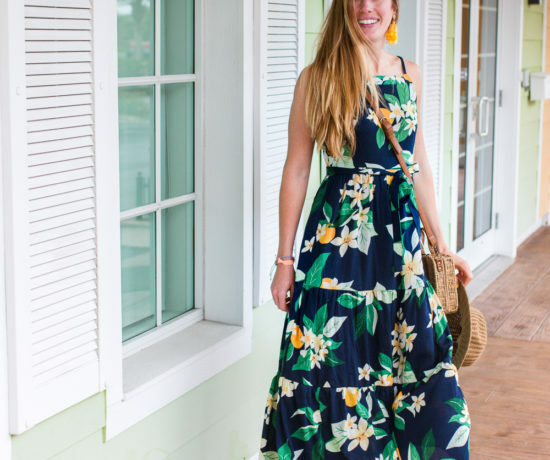 I have noticed so many fun, colorful pieces in the stores lately and I am totally loving them. 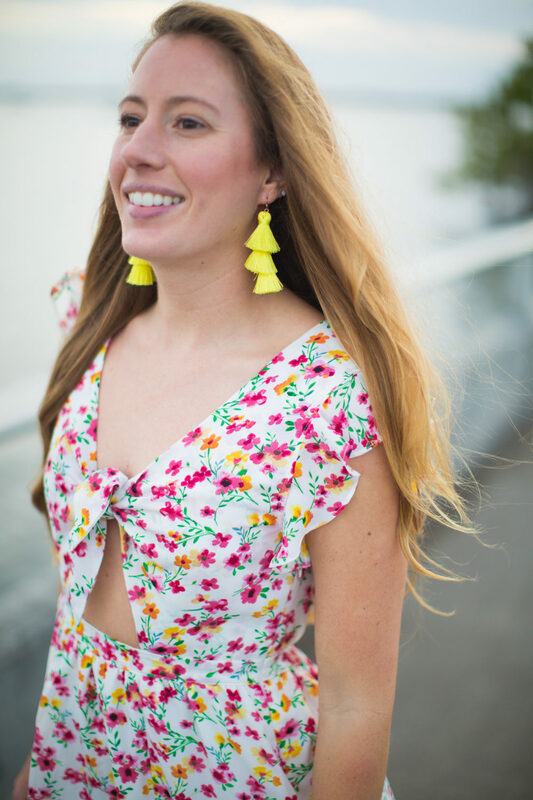 Bright statement earrings are my favorite. Hoping to do some shopping once I graduate and treat myself to some of those fun, colorful accessories and pieces.